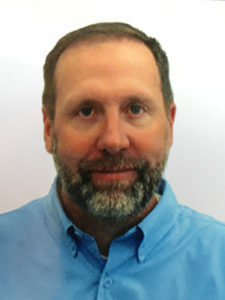 AgriBusiness Global recently had the chance to chat with Ian Crawford, Product Manager, Plant Health Technologies with J.R. Simplot Co. about some exciting biostimulant products on the frontier, the stumbling blocks in bringing a product to market, and his views on regulatory. Crawford’s upcoming talk is ‘Strategizing for Downstream Success’ at the Biostimulant CommerceCon, co-located with the AgriBusiness Global Trade Summit, 30 July – Aug. 2, 2018 in Phoenix, Arizona. Can you tell us about your company’s involvement with biostimulants and your plans for this market? Yes, depending on what the definition of biostimulants is – we are still trying to figure that out. The Farm Bill is now going to have the first legal definition. We have used humic acids, fulvic acids, and seaweed products for going on 20 years or so. We’ve used some fermentation products for 15 years-plus. We’re starting to step into the microbial space. We’ve got our own private-labeled product from another supplier. We have our line of products called Plant Health Technologies. We have a microbial that has some biostimulant effect, and we are trying a number of other products as well. We’re not new at this. Another product we’ve been using for quite some time is phosphites. We’ve been using those in the Roundup Ready corn and soybeans market for eight or nine years, trying to offset some of the yield drag of glyphosate. I think phosphites fit that classical definition of a biostimulant. We get a rooting effect, and we offset that yield drag. So, this isn’t new to us, but what is new to us is some of the amino acid products and certainly microbial consortia that have a biostimulant effect. The biostimulant category is just so broad. Another product we’re looking at is silicon based. AAPFCO – the organization that sets the standards of what is recognized as a plant nutrient – has just recognized silicon as a plant beneficial substance, and I’m not even sure what that means (laughs). It’s an element, and it’s not recognized as an essential nutrient, but nevertheless it’s recognized as a plant beneficial substance by AAPFCO. We as an organization are looking at a product that has silicon in it, and I’m not sure ‘biostimulant’ is the best word, but we’re using it to trigger plant health benefits in the plant. We’re also looking at some seaweed products that are specific to salt tolerance. Where are you looking to market that last product – where would it be more heavily used? Out west we have salt-affected soils. Maybe you’re raising a crop there that is not incredibly salt-tolerant, such as potatoes or dry edible beans. We’re trying to offset effects of excess salinity in the soil. These are things that are in the development stage as of now, but it’s next-generation stuff. We are looking at a product that affects the Calvin cycle – the dark reactions of photosynthesis. We’re trying to get way more specific than we’ve been. It seems like a lot of the biostimulant products we used in past affect the rooting, and make root system more vigorous. Don’t get me wrong, those things are all important, but there is a lot of noise out there. There are 100 products out there that can make a bigger root mass. If we can use a product to upregulate or downregulate some genes, that’s something we’re starting to look at with a number of suppliers. We can track how we’re affecting a plant’s genetic expression. These are all in the R&D phase now. Things have certainly been ramped up in the last few years, which I think is good. That’s the natural evolution of things. We can see some yield and quality responses, but I don’t know if we can tell you why they did what they did. Now, we’re really starting to dive in to figuring out the ‘whys,’ especially with the next-generation products. With so many products out there, as you said, how do you identify and explain those ‘whys’? We have a product development team, and that’s across our geography. We have people on this team that are representing California, the Pacific Northwest, the Plains, and Midwest. We all get together, and lay out a plan to screen these products, and then we get together at the end of the year and have some discussion on what worked and what didn’t. We’re screening a number of products from a number of suppliers so we can get a grasp on what’s working and what isn’t. How do you differentiate products for commercialization? All agronomy is local; it all starts with agronomy. We have to identify within our organization what are some of the needs that we have at the field level. This is very customer-focused, because our customers expect us to do this, and we do it. Was there a certain event that caused biostimulants to gain momentum, or was it more gradual? I’m not sure about all the whys. Some of the biggest (reasons for growth in the market) are at the grower level – there is extreme pressure on the grower to produce more than their neighbor. It’s very competitive. Our customer base relies on us to bring them tools to increase productivity. There is a strong appetite for products that overcome limiting factors at the field level, to boost production and quality. What products have customers been asking about more lately? One of our really old, standby products is our Bioburst concentrate product. There is a lot of that sold, for sure. It’s well-established. We’re looking at newer products that trigger, or upregulate or downregulate a gene within a plant. So that’s kind of the frontier. What stumbling blocks have you’ve experienced when you’re trying to bring a product to market? We are very careful to not oversell or overstate the benefit of a product. I think there’s a lot of noise out there in the biostimulant space. There are a lot of manufacturers and a lot of products, and there are maybe some claims being made that are exaggerated. We as an organization tend to be more of a mindset to underpromise, overdeliver. We don’t want to oversell. There are a lot of ‘tailgaters’ out there that sell products that aren’t necessarily vetted or valid. They’ll tell a grower, ‘Hey, if you use this product, you can cut your (need for) fertility by 30%,’ just right across the board but without any explanation of why. Simplot as an organization is rooted in the 4R strategy in sync with the International Plant Nutrition Institute: right source, right rate, right time, right place. There is no substitute for that. If you’re doing the four Rs, you can’t shave nutrients out of the program without sacrificing yield. That 4R strategy is trying to be as environmentally responsible as you can while being economically sustainable. For someone to sell a product and say flat out, ‘you can cut your fertility by 30%,’ it’s not sustainable. It’s dangerous. That kind of thing happens out there with ‘tailgaters’ selling a biostimulant product. We view that as a real threat to our organization and to our growers ultimately. Switching to regulatory, do you think it’s going in the right direction? What needs to be done on that front? I think that’s great that they’re laying that out there, because that’s going to help lay the framework for some regulation in the biostimulant space. Do you worry about overregulation? That’s certainly a concern. I feel that at times we’re overregulated. You look at what it costs today for a basic manufacturer to bring a crop protection product to market versus 20, 30 years ago, and it’s incredibly challenging. If we get to that point where biostimulants are in the same regulatory environment as crop protection products, that’s certainly problematic. It will cost innovation. But, I do see some real promising things on the frontier with companies using available technology to show activation of a gene within a plant, salt tolerance, and things like that. This is real and relevant within our space. I’m glad to see things moving in a more scientific direction. What markets are more interesting that you’ve seen? Our footprint is many of the states west of the Mississippi – there is huge crop diversity there. We are also involved in the more commodity-type crops, and there is more opportunities in each of those spaces. I believe there are still tremendous growth opportunities, and lots of untreated acres. No, they are not. Biostimulants, by definition, are not pesticides and do not claim to kill pests of any sort. They are used to help make plants stronger, which allows the plants to better deal with abiotic stress.